Locker Storage— And Peace of Mind. 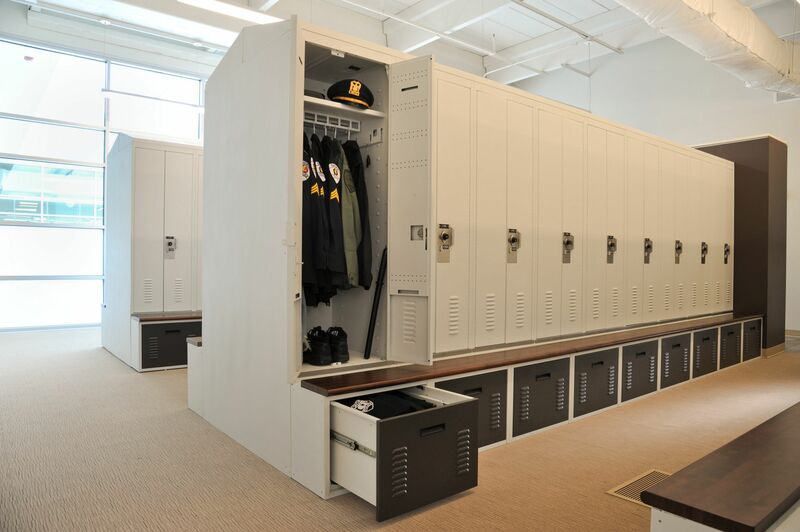 Secure locker storage can serve many purposes—keeping gear safe on a military base, protecting the chain of custody in a evidence room, and providing a “home away from home” for law enforcement personnel, and athletic equipment for a university, just to name a few. From working with countless organizations and agencies in a variety of applications, we know that two factors are important when choosing a locker—it has to be configurable based on needs, and it needs to keep the items inside safe and secure. For this reason, Spacesaver Intermountain has teamed up with Spacesaver and other trusted partners to offer secure lockers to fit a wide range of needs. Take a look at our locker options below. 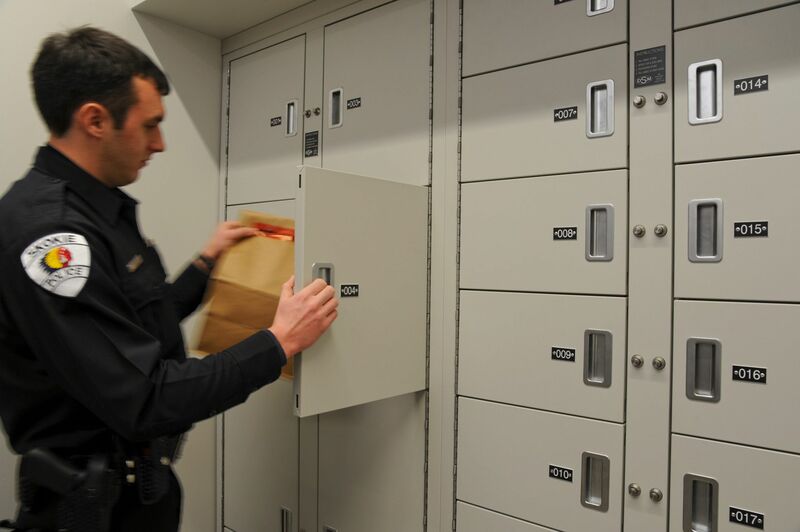 FreeStyle® Personal Storage Lockers: Typically utilized in public safety facilities for officers, these personal storage lockers are a great way to provide a safe and secure place to hold personal items and gear. Laminate: Typically used for an athletic locker room, these durable lockers provide secure storage for uniforms, personal gear, and other small equipment. Steel: These rugged, all-steel lockers are built to last for a variety of demanding applications, and can be configured to fit your specific needs. Evidence can arrive for processing any time of day or night—and until it’s received by a property room employee, a temporary storage solution is needed to guarantee the security and integrity of evidence. We’ve partnered with Spacesaver to offer evidence lockers with a wide range of features that fit with the needs of small and large departments alike. With options such as pass-thru and non-pass-thru as well as refrigerated lockers for biological evidence, we work with law enforcement entities to help them protect their chain of custody, offer a path to accreditation, and maintain best practices in their evidence facility. 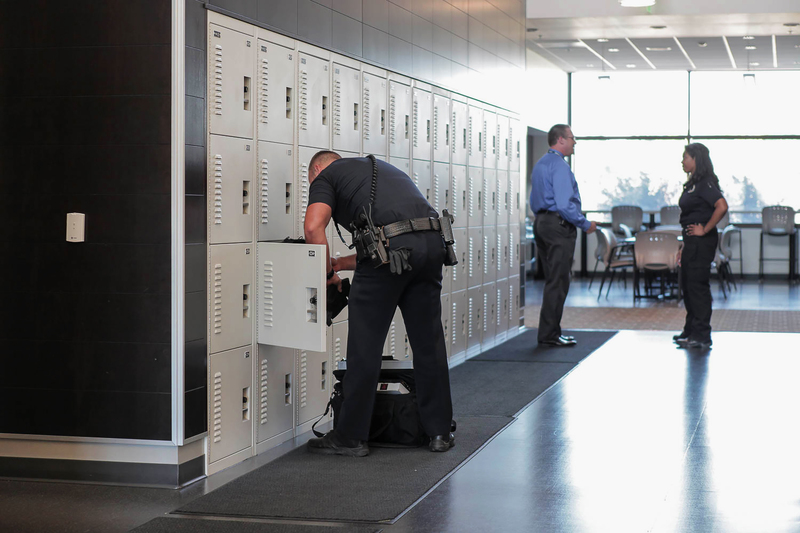 At Salt Lake City’s Public Safety Building, a combination of pass-thru and non-pass thru lockers are able to provide the ideal amount of protection to the evidence that is processed on a daily basis. 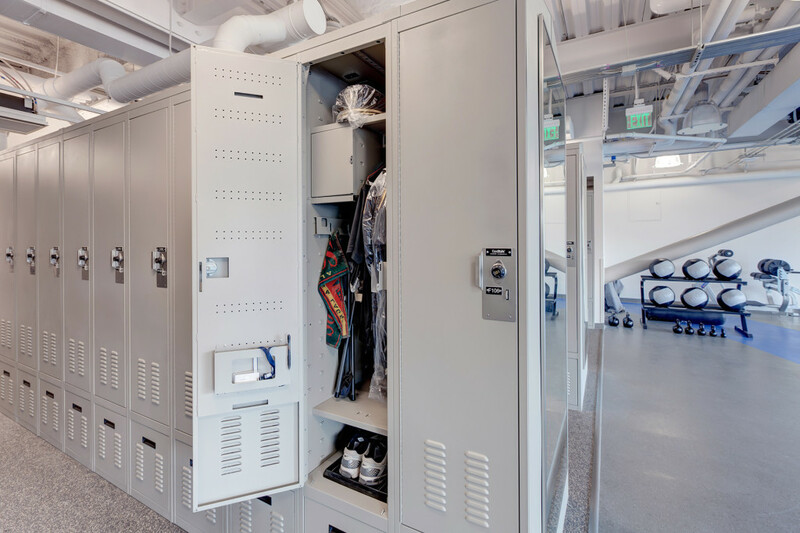 With heavy-duty, all-steel construction, gear lockers are built to last in demanding applications such as military bases or public safety facilities—giving flexibility to storage requirements that are always changing. In addition to the personal storage lockers at Salt Lake City’s Public Safety Building, the department was also in need of storage for their Motorcycle Unit. To eliminate the time the officers were taking to go into the building and collect their equipment, gear lockers were installed right in the garage. Additionally, another bank of the lockers were stored in the corridor of the building closest to the parking garage for the same reasons. Want to see which secure lockers might be right for your needs? Contact Spacesaver Intermountain to find out more.